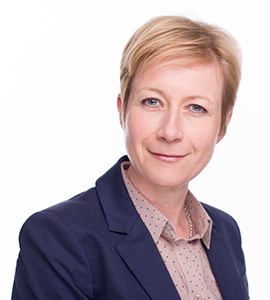 LONDON, UK – 4 March 2019: IBC is delighted to announce that Brave Bison CEO, Claire Hungate, has accepted the role of guest chair of the IBC2019 Content Steering Group (CSG), a collection of industry experts and thought leaders including BBC Studios, Google, Endemol Shine Group and Discovery, who will set the agenda for the September event and provide industry insight for year-round online platform IBC365. Claire is an outstanding business innovator, who during her eighteen years of industry experience has consistently stayed ahead of the curve. Her hugely successful broadcast career includes being managing director of UK production company Wall to Wall, and part of the team that sold the company to AIM listed production Group Shed Media PLC in 2007. Claire was fundamental in de-listing Shed from AIM by virtue of an MBO backed by Warner Bros. At the time of Warner Bros taking full ownership of Shed in 2014, she became CEO of the newly created entity, Warner Bros TV Production UK. Now, as CEO of Brave Bison, Claire is driving her vision to evolve the firm from a social agency to an end-to-end strategy, production and distribution business that creates “content with purpose”. The new relationships she is developing, includes a collaboration with Chinese conglomerate Tencent, providing content to the company, via six channels across multiple genres, giving Brave Bison access to over 1.5 billion Chinese viewers. “I am looking forward to adding my blend of television and digital experience to the IBC Content Steering Group this year,” said Hungate. “Bringing together leaders from a range of disciplines and companies, we start from the basis that the best content engages an audience emotionally and prompts them to share with others. The IBC Content Steering Group was created to evolve and shape the IBC Conference programme and editorial direction of IBC365. The objective of the guest chair is to identify the biggest challenges and opportunities across this fast-evolving media and entertainment industry and influence and support the CSG in turning that into unmissable content. The CSG is also tasked with bringing the most sought-after thought leaders and global gamechangers to the Show, to share their ideas and inspire the live and online audience. Supporting IBC’s position ‘by the industry, for the industry’, the CSG will also look at ways to build on 2018 launch initiatives such as I Believe in Change supporting gender equality and diversity in the work place and realised in IBC’s doubling the number of female speakers on the 2018 Conference programme. The CSG will also support IBC’s evolving commitment to sustainability, which in 2018 included; using only glass water bottles and tumblers on stage and gifting a reusable water bottle at the event. Claire’s article entitled ‘Is content still King for the Gen Z audience?’ is available to read on IBC365 now.